So I guess we're going costume shopping this afternoon. That's pretty hillarious. 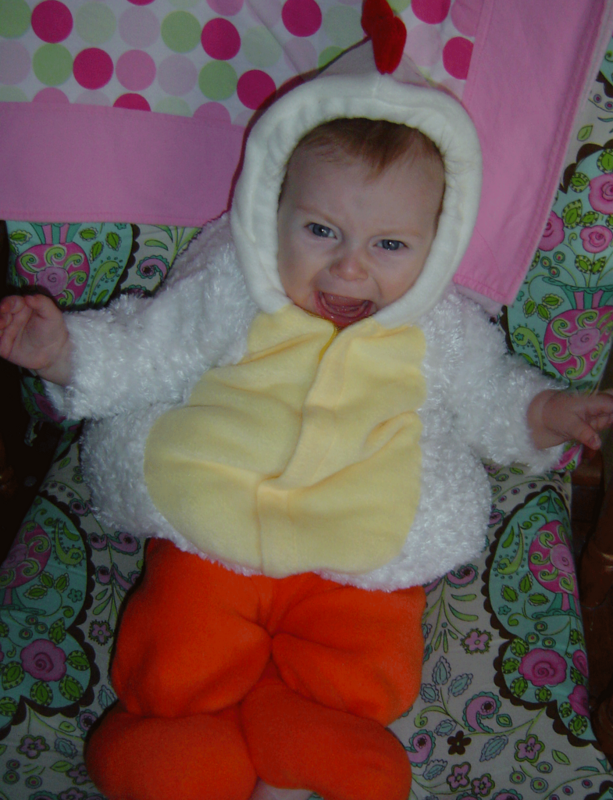 Maybe she's a future member of PETA and just doesn't approve of dressing like a chicken...? Yeah, I tried to put it on her again this morning, and she wasn't a fan of the suit....I, on the other hand, LOVE it.